SINGAPORE, 07 MARCH, 2017 – Vanguarde Lifeboat, a survival equipment manufacturer for the marine and oil and gas industry, has successfully secured a contract to supply several 12m totallyenclosed lifeboats for two China Merchants Heavy Industry Co. Ltd. (CMHI) semi-submersible crane vessels (SSCV). On the backdrop of a sluggish marine industry, Vanguarde Lifeboat has managed to secure a contract to supply 20 units of its 12m Totally Enclosed Lifeboats for CHMI’s two new SSCVs before the end of the first quarter of the year. The total value of the contract is worth more than USD2 million. As part of the contract, Vanguarde Lifeboat is to deliver ten units of the 12m Totally Enclosed Lifeboats which will be integrated with platform davit systems that can carry up to 150 men per-boat, based on an average weight of 98kg per person, and a unit of a Fast Rescue Boat with a platform davit system for each vessel. The installation and commissioning of the lifeboats will be done between from the fourth quarter of 2017 until the third quarter of 2019. The two new SSCVs named the OOS Serooskerke and OOS Walcheren will be constructed by CMHI for Dutch firm Overdulve Offshore Services (OOS). The vessels will be equipped with DP-3 system and are able to perform subsea lifting in 3000m water depths. Both units are able to accommodate up to 750 people on board. Once completed, the vessels will be deployed for decommissioning subsea structures, foundations, moorings and floating, as well as lifting heavy platforms for offshore wind structures in deep water. Vanguarde Lifeboat is based in Singapore with a manufacturing plant located in Nantong, China. The award builds on our successful track record of supplying life-saving equipment to Chinese Shipyards and also a comprehensive global service network that can support our customers through the whole product’s lifetime. “This award is Vanguarde’s largest and major contract with CMHI to date. We are proud to be recognised and chosen by one of the biggest state-owned yard in the region to take on such a task. With this award, Vanguarde Lifeboat stands as a trusted and reliable supplier of marine and oil and gas survival equipment. We will continue to strive and produce world-class quality products and services for all our customers and partners, to ensure safety and survival priorities are met”, said Alastair J. Bisset, Vanguarde Lifeboat Chief Executive Officer. 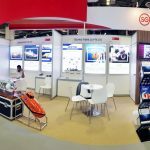 Based in Singapore, VANGUARDE LIFEBOAT is a wholly owned subsidiary of Malaysian based integrated engineering solutions provider DESTINI BERHAD. VANGUARDE LIFEBOAT has made a name for itself as a trusted and reliable global lifeboat brand. The Company manufactures conventional and hyperbaric lifeboats, fast rescue boats, davit systems and a host of other safety equipment for the marine and oil and gas industries. Download this news in PDF format and print ready. 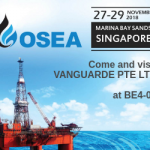 We are at OSEA 2018! 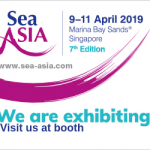 Visit us at booth BE4-04. 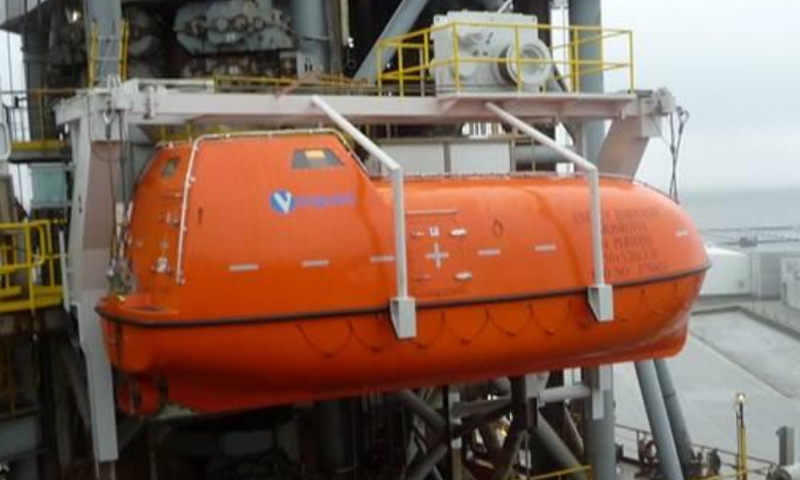 Vanguarde Lifeboat, one of the world's leading lifeboat manufacturers that produces top-notch quality life-saving appliances for marine and oil and gas industry. © Copyright 2018 Vanguarde Pte Ltd | All Rights Reserved.